There are many good things about this printer. It is fast (for an inkjet), makes lifelike prints (in high quality printing mode), and also makes high quality scans and copies. 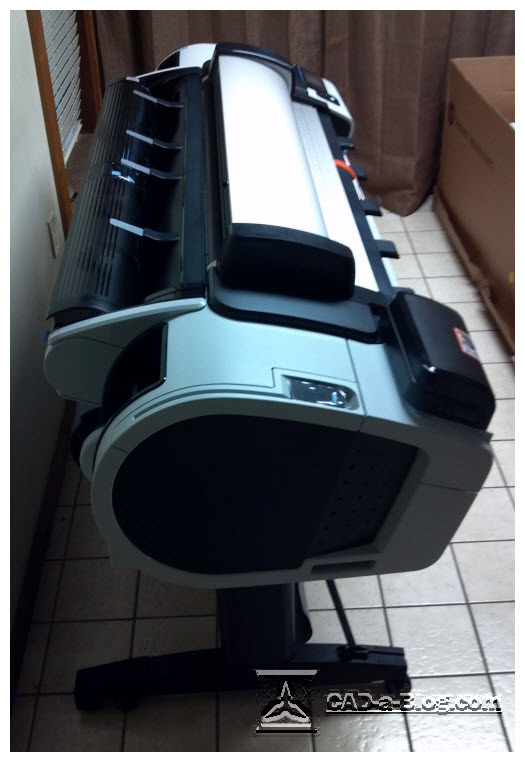 It has two rolls so you can load different types of media, or have two rolls available for continuous printing. 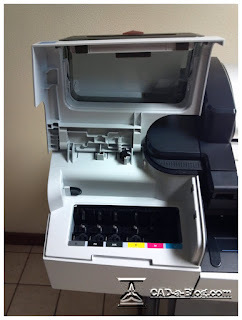 This machine has "smart switching" so if one roll is empty it will automatically print to the second roll; if the media is the same type and width. The interface is easy enough to use. One of my favorite features is that it is an ePrinter. I was able to print from my iPad and Android phone easily with HP's ePrint apps. I was also able to print from my laptop away from the machine. This is actually a great feature, especially for users that work remotely, in other offices, or for teams that are out in the field. Users could be in the field, or at a meeting, create a drawing (or image) and print it remotely. Coworkers in the office can get the print and process it by the time the printing user gets back to the office. I’ll talk more about the ePrinting later on. I also like the USB port. Printing from a thumb drive was very easy and straight forward. This feature is a nice addition giving you more printing options. I don’t have a lot of bad to say about this machine, but for a few exceptions. The media rolls load from the back. This is awkward, but not a reason to pass on purchasing it. The casters allow the printer to roll easy enough (on a tiled surface anyway) and accessing them isn't that bad. It's annoying, but not a deal breaker for me. I was able to load the top roll from the front, but it was a literal "stretch" to make it happen. High detail color photos take a while to print, but the speeds are still good for an inkjet. It is an inkjet, so the speed is expected. The ePrint management software for the PC is a pain to use, but it works. The mobile apps work great though. The machine takes a while to turn on. I timed it at four minutes and thirty-two seconds. It's frustrating when you are standing there waiting for it to boot up. Just make sure that when you turn it on, that you can go do something else, and then come back. My biggest complaint is the feed when scanning or copying. Everything else I can deal with. The T2300 can really only handle one drawing at a time when scanning or copying. If you need to scan or copy a set of drawings that has 20 sheets in it (as an example), then you will find the process painful. The user feeds the first sheet in the scanner and clicks ok. When the scanning is complete the user has to press the “Eject” button. The process begins again. Feed, click go, wait, click eject. You cannot simply load the sheets one after the other. There are too many steps in between. The process is fine if you only have to scan or copy once in a while. 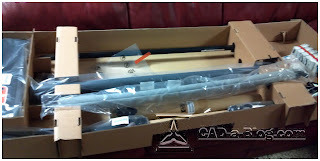 But if you scan on a daily, or even weekly basis, then you may want to pass on this model to use as a scanner. Otherwise hire an intern to make the copies for you. Almost forgot. The basket. Yeah, the basket. Probably the worst feature. It's fine if you only print one or two drawings. Large sets get messy. Again, not a deal breaker, but something to be wary of. 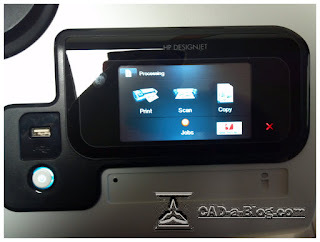 The HP Designjet T2300 eMFP printer is a great machine. 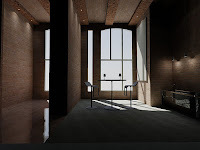 It has many abilities that would make it a very valuable tool for any design firm. 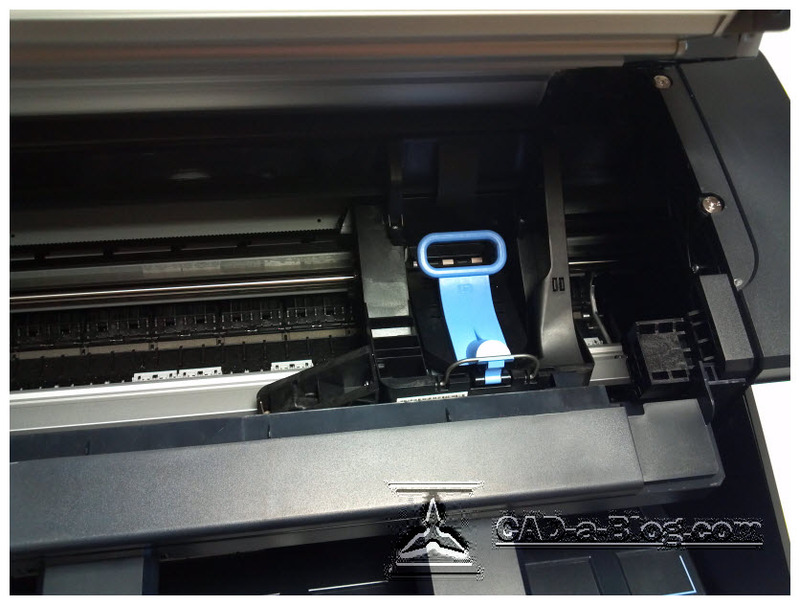 This printer/scanner/copier is ideal for companies that need to print high quality color photorealistic renderings or pictures because it performs this task extremely well. It also produces high quality black and white (or grayscale) line drawings, just not as quickly as a laser (electrophotographic) printer. But those types of machines don't print in color at this price. If you need high quality black and white line drawings and color prints in one machine(don’t forget scanning, copying and mobile printing) then this is a must have printer for you. 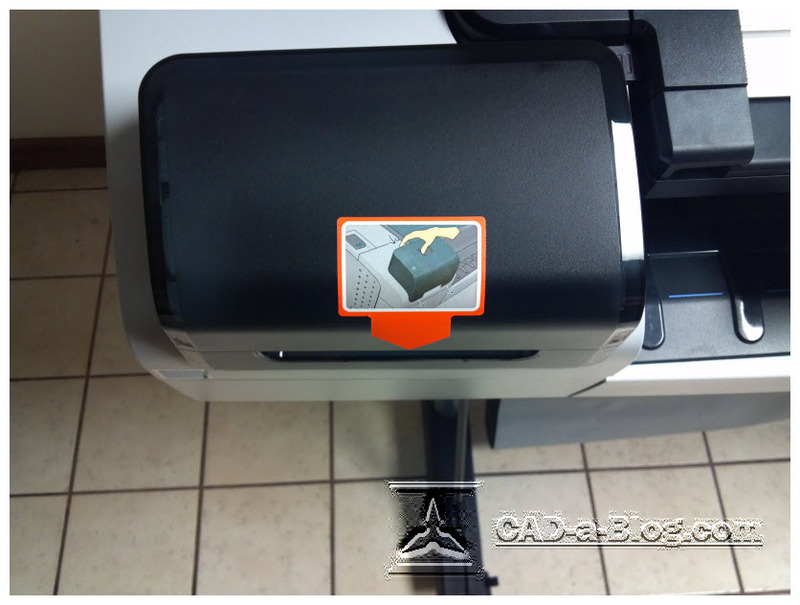 If you "never" print to color, or have a high volume of black and white prints, or high volume of scanning/copying, then you might want to get a printer that focuses on those specific tasks. 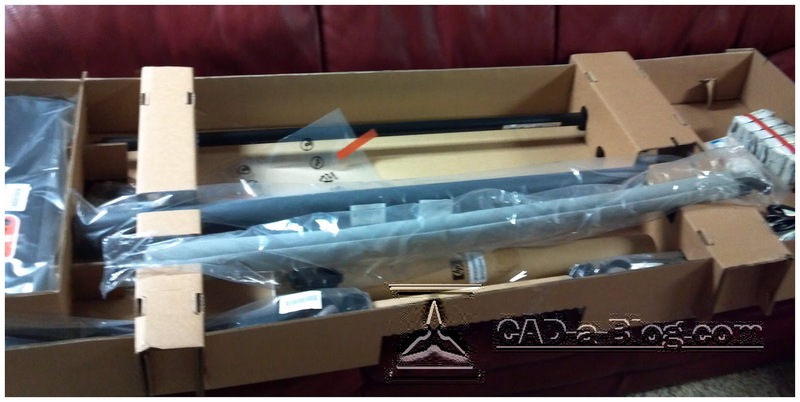 The T2300 eMFP is a “jack-of-all-trades” device. Overall, I recommend this machine, with the exceptions noted above. It's a great piece of hardware with a plethora of abilities. 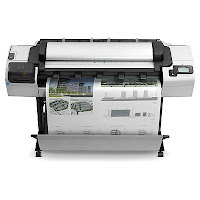 At the time of writing this article, the HP Designjet T2300 eMFP has a starting price of $8400 (USD) plus ink and paper. The HP ePrint and Share service is free as are all of the mobile apps and software. 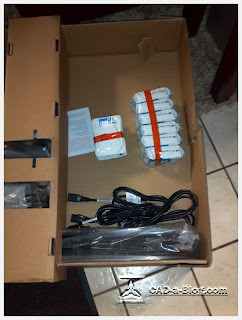 HP was kind enough to send me a review unit to look at. HP supplied the machine, ink, and three roles of paper to test with. 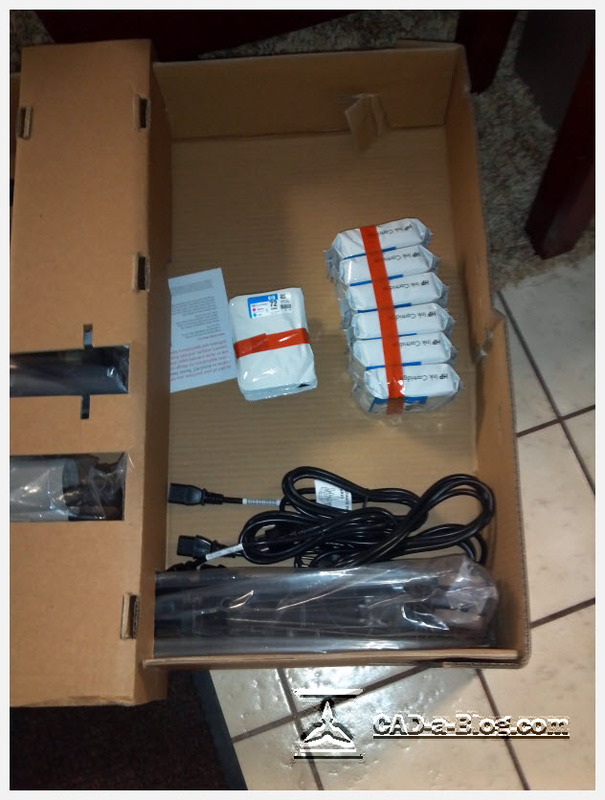 They also covered the cost of shipping to me and to ship it back to them. 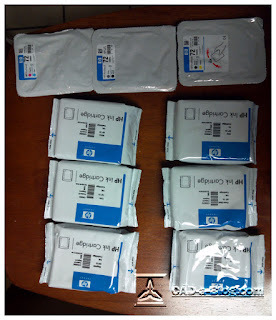 They also provided tech support in setting up, setting up my online accounts for the HP ePrinting services and were available for many of the questions that I had. For this review I made several prints, scans and copies on multiple settings and from several devices. 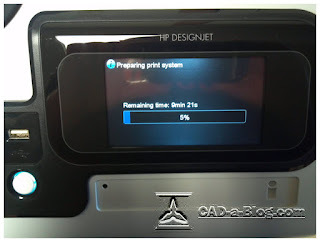 I didn't time the initial boot up time as most users will set the printer up only one time. 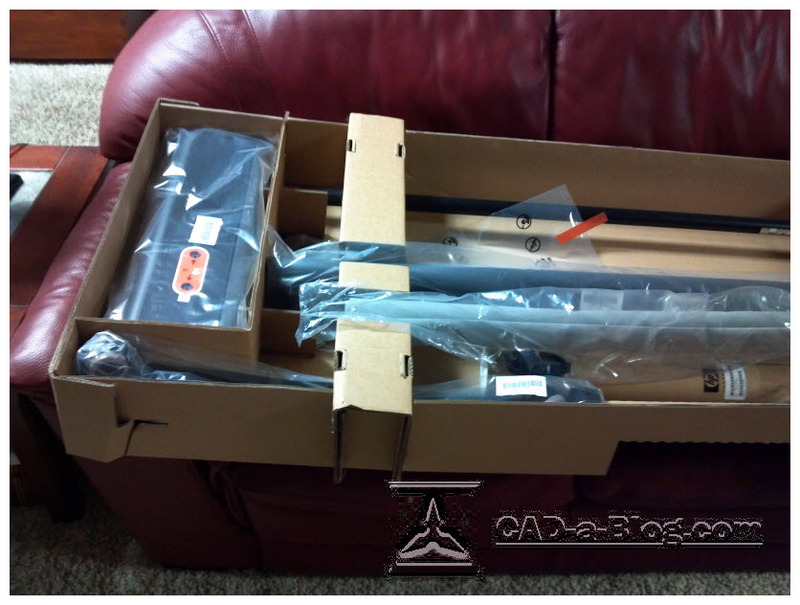 It took me a few hours to unload the box, manual install the stand and rack, turn on the printer, load the ink and print heads and connect the printer to the internet. Once connected the T2300 loaded and installed firmware updates. I set up a free HP ePrint account and connected the T2300 to that account. That process also involved downloading the HP software to my laptop as well as to my iPad and Android phone. All of these services and software were free and there is no cost to use them. 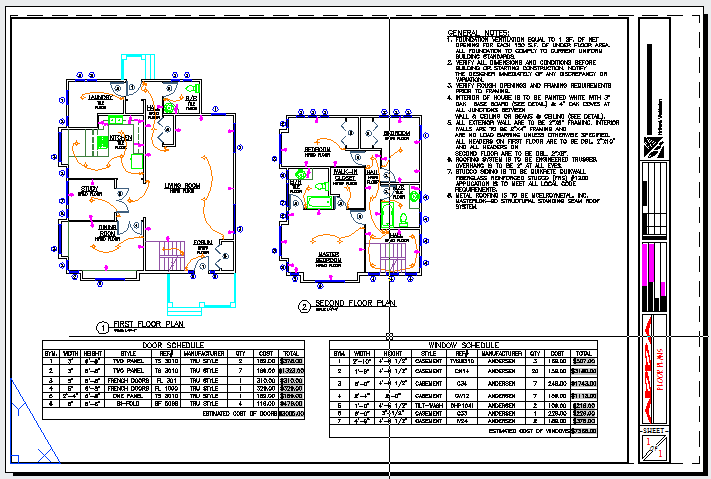 I worked with two files, a colored line drawing from AutoCAD and a photo rendering from another AutoCAD file. I printed the line drawing from within AutoCAD, so all process time was within AutoCAD. I printed the rendering image file from Windows Image Viewer; all processing time was within that software. The processing times will vary based on your computer hardware specifications and the performance abilities of the software you are printing from. All measured times are in minutes:seconds. What I found was exactly what I expected; it took longer to print the color images when they were set to a higher print quality. There was a difference in final print quality. The lower quality (set for faster print speed and lower print quality) prints were great and more than sufficient for early drafts or check prints. But the highest quality (and slowest speed) setting produced an unbelievable print. 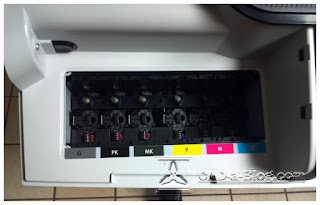 The HP T2300 makes what might be the best large format inkjet photo prints I have encountered. Here are images of both of test files as well as the Test Print information. The T2300 has a USB port next to the control panel. This provides walk up printing abilities. This is a nice feature because it means anyone with files can print. Insert a USB drive into the slot and choose the print from USB option. The control panel (full color touch interface) displays everything you need to print these files. There is no print preview but there are settings for scaling, rotation, paper size and for which roll to print to. You are limited to only being able to print either JPG, TIFF, or PDF files this way. The HP T2300 can scan to one of three file types PDF, JPG, or TIFF at a DPI setting of either 200, 300 or 600. The files can be either color, grayscale, or black and white. 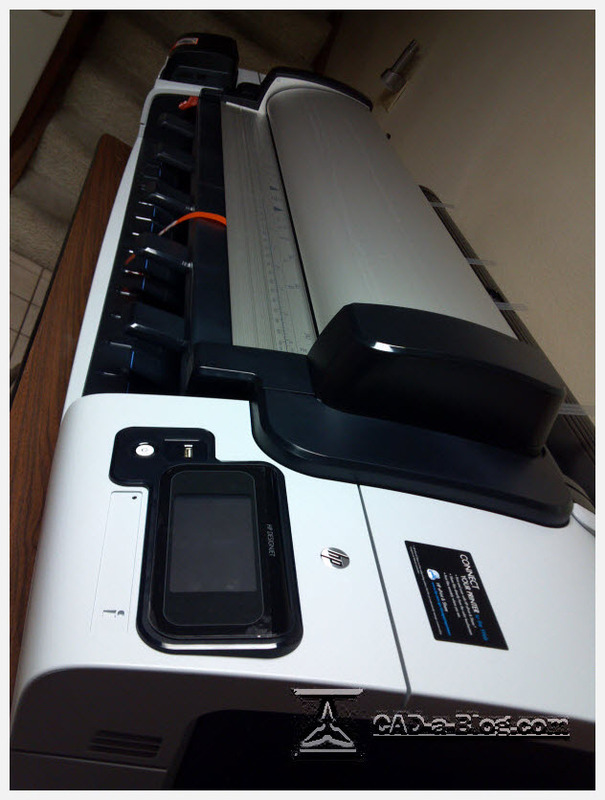 You can scan to a network drive, USB thumb drive, or to an “E Folder” on the HP ePrint service. The scanner and copier settings are exactly the same. I scanned a test print of the CAD Line Drawing test file with a setting of 600 DPI (the highest quality setting). What I found was that it took it a short time to scan the drawing, but a long time to process it. It took 3 minutes and 35 seconds to process and the resulting file was 19 MG in size! But it did a great job of making a high quality scan. Lower settings for the line drawings saw much shorter times (I did not record the actual times) and the files were much smaller. I saw little difference in actual quality in the scanned file or the line drawing at lower settings. The size of the files was a little discouraging, and so was the actual time it took to process the files. I ran several copies through the T2300 and found out that it can only copy/scan up to 36” wide sheets. 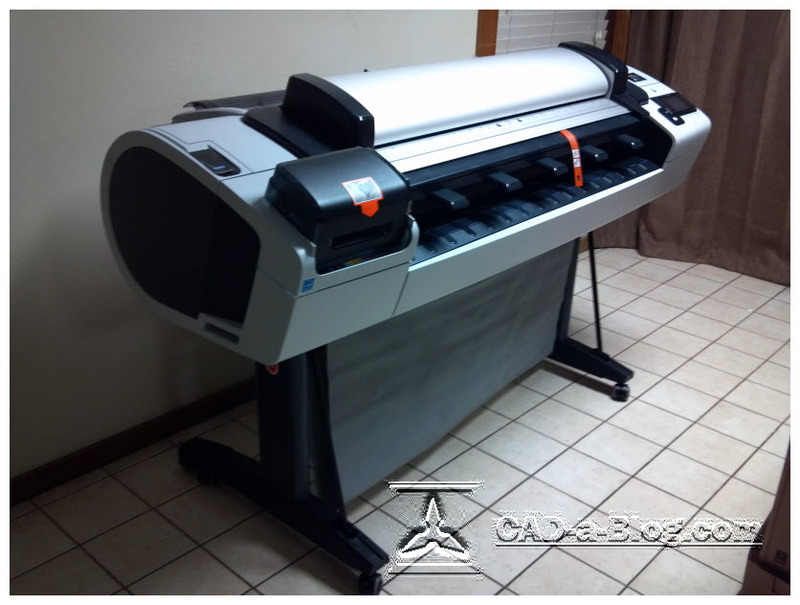 It can print up to 42” wide sheets though. A copy is essentially the same as a scan to file then print, without saving the file. All copies go to the job Queue were you can re-print them later until they leave the Queue. 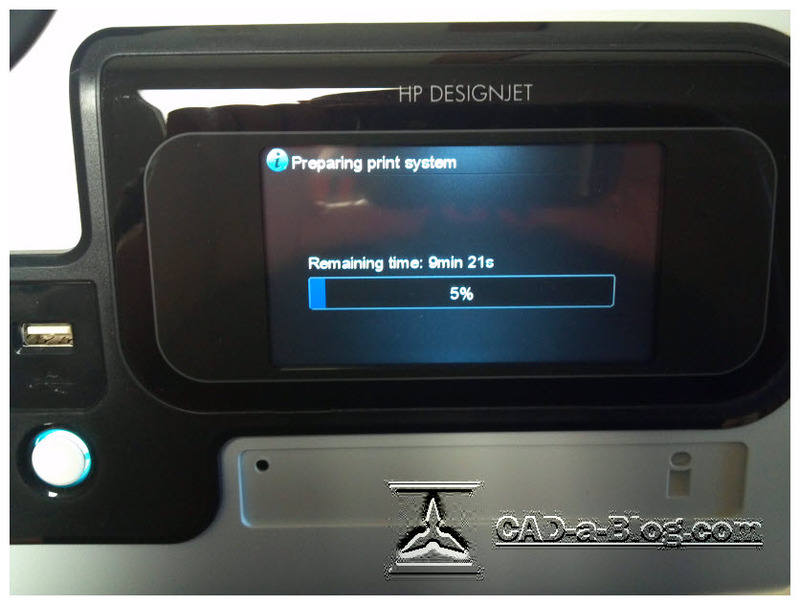 Printing of the copies starts immediately unless something else is currently printing. I was able to scan/copy while the printer was printing. This is a great time saver. 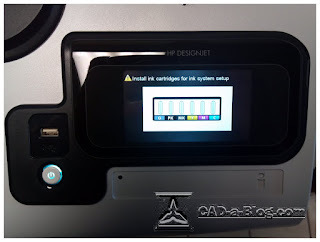 Copy settings can be preset in the printers setting controls but can always be overridden before the copy is made. Making multiple copies of one drawing was easy enough. Just set the number of copies to be printed before scanning the document. Copied sheets can be ejected in the front or rear but are set to eject from the front by default. Just change the main copying settings before you start to copy. The T2300 copied line drawings perfectly. It copied color images just ok. Some of the colors were a bit off, but very slight. Copy settings were at normal for this test. Higher quality settings did a better job, colors were then very good. The scanner had issues feeding color images on glossy paper (sheet size in this test was 24" x 42") but there were no issues when scanning/copying bond media. During one test I tried copying a new drawing, only I had forgotten to remove the last drawing that I copied from the machine. I made my setting changes and pressed start. It fed the old drawing (not removed) and began scanning. I pressed the cancel button which for some reason caused the control panel to lock up. I eventually had to turn off the machine and restart it. This was the only incident like this to happen and also when I first noticed that it took what seemed to be a very long time to reboot! Con: Copying more than one drawing at a time is cumbersome. You have to press START before you start to copy each sheet. You can’t simply feed the drawing into the scanner and expect the T2300 to automatically feed the sheet and copy it. It will feed it a short distance through then wait for you to tell it to copy. With single prints this is fine, but if you had a set of drawings that you needed to scan or copy, it means twice as much work. Once it scans, you have to hit the Eject button to get rid of the sheet. I spoke with HP about this and they said there was no way to turn this functionality off. The HP ePrint and Share feature is one that many users may overlook or assume that they would never use it. Don’t make that mistake. HP’s ePrint is so easy to use that it is a must have option for users. HP’s iOS and Android ePrint apps are free, so is the service. Download the apps, sign up for the free service and assign the printer to your account. Setting this up wasn’t too bad. Finding the Windows app and using it was a bit of a pain. In the Windows app is cumbersome to use. I did not enjoy using it. I found the process to print via the Windows HP ePrint program required too many steps and tended to be confusing. The iOS and Android on the other hand are very easy to use. Open the file you want to print and send it to the HP ePrint app. The app (regardless of operating system) has controls for paper type, paper size, color, and more. The controls are simple to use and are very straight forward. When would you use this feature? If you are in the field you can make changes to your design and print to your office printer. If you have a T2300 on the jobsite you can print to it without having to connect to the network. 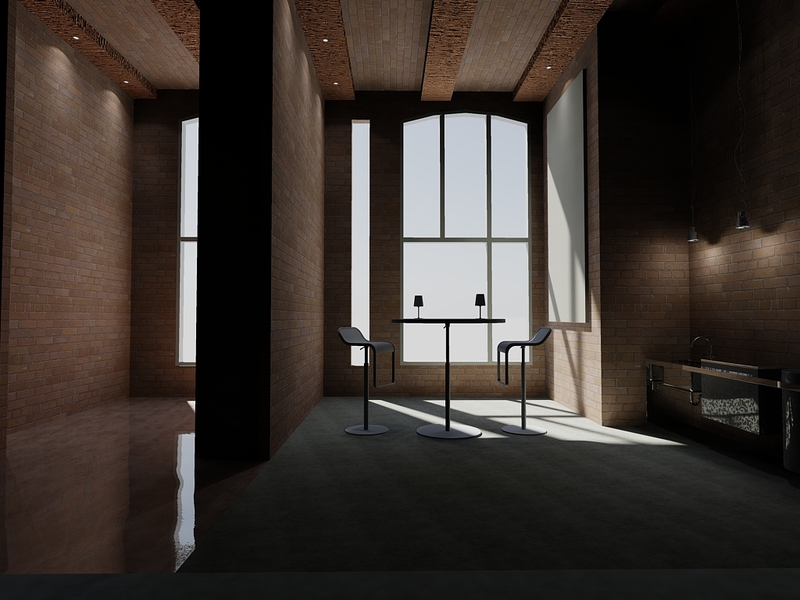 If you are in a meeting at your office you can make changes to the design via a mobile CAD app like AutoCAD WS (as an example) and print from your tablet while in the meeting without interruption or technical difficulty. There are many uses for the ePrint feature. The HP Designjet T2300 eMFP is an amazing machine! 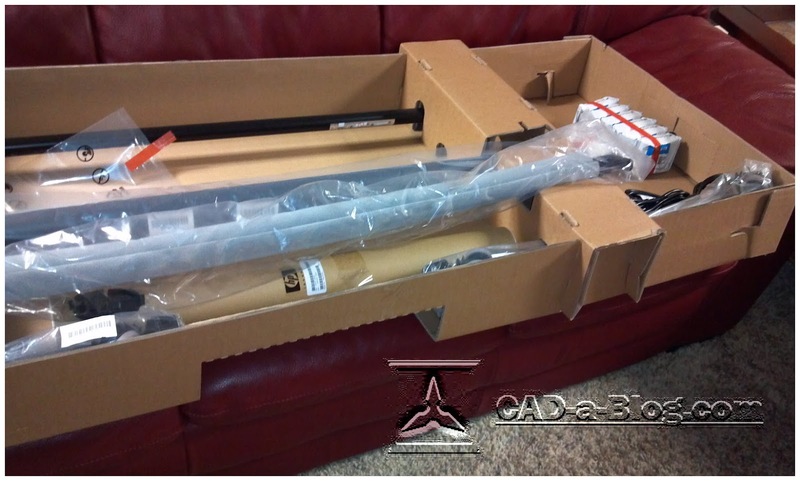 Nothing is perfect of course but this printing beast offers its users a diverse set of tools. You will be hard pressed to find one machine that does as much as the T2300 does as well as it does. You can find machines that do one thing, like scanning for example, and that machine will be better at scanning. But you will still need to purchase a printer. This is a fantastic and thorough review. I especially loved the unboxing photos.